Experienced Owner with a demonstrated history of working in the insurance industry. Skilled in Event Planning, Customer Service, Public Speaking, Microsoft Office, and Research. Strong business development professional with a Bachelor’s Degree focused in Liberal Studies from Azusa Pacific University. 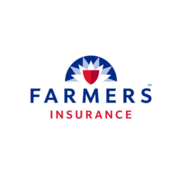 Rate and review Farmers Insurance - Jessica Birch in Glendora, CA, United States! Share your experiences at Farmers Insurance - Jessica Birch with your friends or discover more Insurance in Glendora, CA, United States.